The focus of the Outreach Program is to reach out and bring services to inner city seniors. 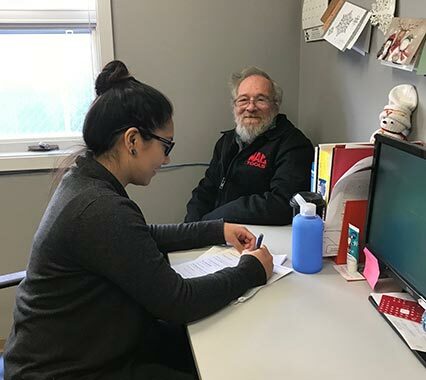 Outreach Workers respond to referrals from agencies and the community at large – visiting seniors in their homes, hospitals, in our Drop-in, or wherever they may be. Our workers act as a friend and advocate, linking people to necessary resources and services. Our staff also helps seniors in reading, understanding, and completing forms and applications, such as income tax forms and applications for government monies.